Does anybody know what is happening with this? Have heard that the council has stopped it or something? I thought it was going to be on today but my Missus reckons there are no signs or anything up around the place ( I just got home to SA from work interstate). I hope so, it's usually a good day. Will be a pity if they have it at Gawler rather than Tanunda but still better than not at all! So GM day is different to Monaro Car Show? That was brilliant a couple of years back. Was / is GM day a regular event? Arr... arrhh ye artificially boosted? My V will EAT U. Naturally as-pirated, all-motor. Six point one litre DCVCP. I think the Monaro show you are talking about was the Monaro Nationals, they have it at a different location every year I believe. I was lucky enough to catch it while I was over in WA for work a few years back and then again when it was at home last year. Was awesome to see them fly up the Collingrove Hillclimb track on the Sunday! In my opinion the car shows have been the best things that have been held on the Tanunda oval. I just think it's a shame to lose another great event from the Barossa while we have to deal with more stuff like the Tour Down Under and Gourmet Weekend shutting down our whole towns! At least we still have the street party, for now. At least we still have the street party, for now. Do you mean the Barossa Vintage Festival? Nah, was talking about the one in Tanunda where they block the main street off and it's lined with hotrods and muscle cars. There is usually a band on in front of the pub later on. Can't remember what it's called or who organises it. I have missed the last couple years due to work but the Missus still loves going for a look. 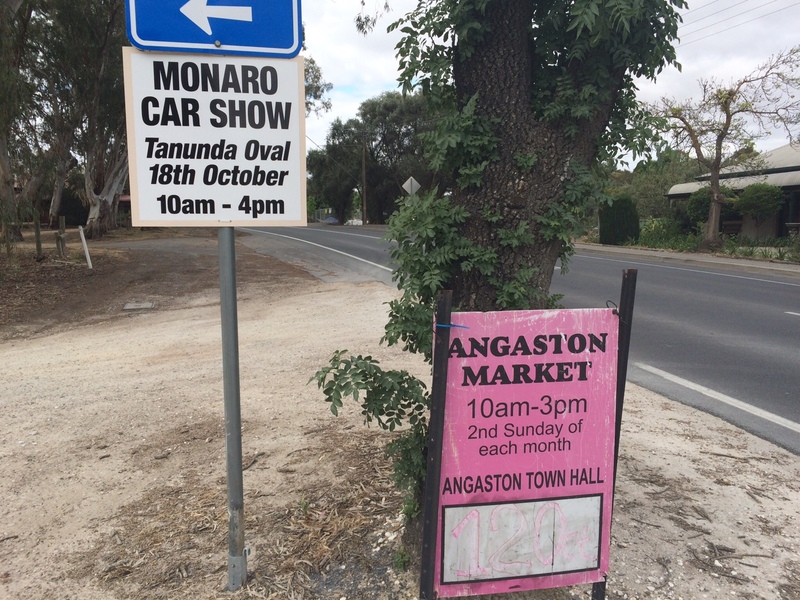 i thought it was still being held in Tanunda but they'd moved it to October..? That would be great! Hopefully late October or I will miss it anyway ( damn this pesky work thing that I need to earn a living!). Is this show going to be on in 2019? I am planning a trip to SA over Easter 2019. Might plan to take in this show as well. So many councils are going this way now. Don't want cars parked on their precious grass!! !